For large, urban counties across the United States, the responsibility for running local jails often represents our biggest expense and most challenging operational issue. As we honor our promise to keep our communities safe, and to stay within budget, local governments are working to develop strategies that detain individuals who present a danger to our communities while finding alternatives for individuals who are at low risk of reoffending and who can be safely supervised outside jail walls. Despite the enormous human and financial costs of unnecessary incarceration, counties have struggled to undertake the hard work of adopting effective alternatives for individuals with mental illness and substance use disorders in our jails. Fortunately, county governments now benefit from the resources and moral support of the Stepping Up initiative. Bernalillo County, N.M., is a perfect example. Four years ago, our county government was facing a crisis. The Bernalillo County Metropolitan Detention Center was severely overcrowded, holding more than 2,800 inmates in a facility built for 1,950. At least half the inmates suffered from diagnosed mental illnesses or substance use disorders, making our jail the largest behavioral health provider in the state. Jail expenses consumed nearly 50 percent of our general fund budget and the facility was operating under a 20-year-old federal class action lawsuit that was costing taxpayers more than $1 million every year in legal fees alone. In 2013, a federal judge ordered the county to transfer inmates to other facilities, at the staggering cost of $36,000 per day. 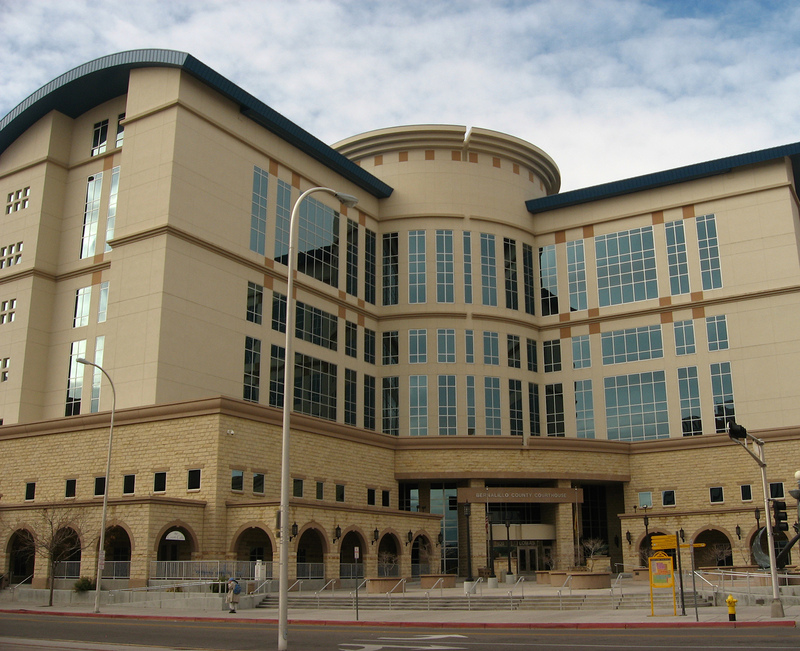 Facing an annual cost of more than $10 million to comply with the federal court order, Bernalillo County leaders accelerated efforts to address our jail’s overcrowding issues. In our work, NACo was a valuable ally, most importantly showing us that we were not alone in our challenges and connecting us to ideas and resources to guide our reform strategies. Our reform started with data-driven decision making. County public safety staff worked with local judges, law enforcement, statisticians from the University of New Mexico, the district attorney, public defender and other partners in the criminal justice system to conduct an intensive analysis of our jail population: who was in our jail, what brought them there and how long did they stay in our facility? After analyzing the data, more than 20 separate initiatives were identified to speed up the criminal justice process for pretrial inmates who were waiting for their cases to be adjudicated. At the same time, tragic encounters between the Albuquerque Police Department and individuals with mental illnesses helped build public awareness of the need to provide more comprehensive, appropriate services for our residents who are living with behavioral health disorders. In November 2014, the Bernalillo County Commission asked voters if they supported a new tax dedicated to expanding behavioral health services in our community. Almost 70 percent of voters said yes, making available nearly $20 million in new funding for mental health and substance use disorder intervention, treatment and prevention services. Among the most exciting projects to receive the new funding is an inmate reentry resource center — a supportive release center that will connect individuals leaving jail with services such as transportation, health care, food and housing assistance. We are optimistic that helping people stay healthy and out of the criminal justice system will save money in the long run. Jail reform takes leadership and considerable courage. NACo and its partners have shown both in launching the Stepping Up initiative, and we have surely benefited from their willingness to tackle the issue head-on. In May 2015, all five Bernalillo County Commissioners voted unanimously to adopt a resolution in support of Stepping Up, a decision that gave us access to the resources, support, research and strategies outlined in the initiative. With that action, we were instantly part of a close-knit team of individuals and organizations who are bonded together in our commitment to share information and find solutions. Working with Stepping Up, we’ve accelerated the development and implementation of our local initiatives by taking advantage of technical assistance, conferences, webinars and focused communications with other local governments — and have shared our stories of successes and of setbacks and continuing challenges with others. While we still have a lot of work ahead of us, Bernalillo County has made great strides in addressing our jail population concerns and we are grateful for the opportunities to work with NACo and other counties in finding solutions to this complex challenge.